How do I get a literary agent? 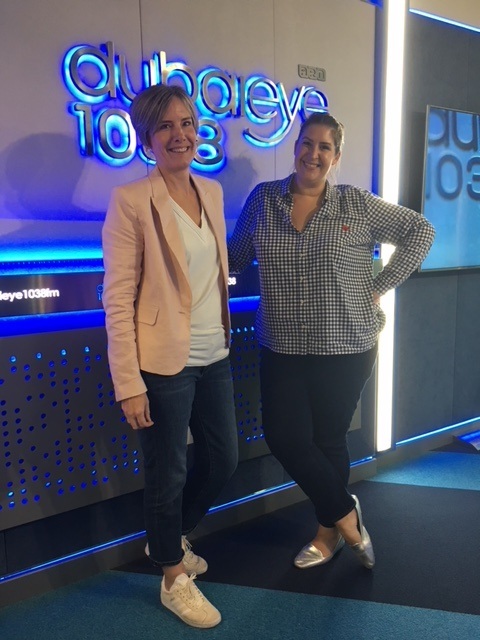 I was a guest on the Afternoons with Helen Farmer show on Dubai Eye yesterday, talking about writing and getting published with fellow author Brandy Scott. Her debut Not Bad People, about a group of friends who suspect they may have caused a light aircraft to crash when they launched a Chinese lantern (that’s not a spoiler btw), was published this week and sounds brilliant. We talked a bit about our routes to publication: I was lucky in that I won a competition that got me a toe in the door of top London literary agent Luigi Bonomi, while Brandy had the incredible experience of emailing an agent her idea and being taken on, but it’s often not that simple. Helen opened up the lines for questions and the overwhelming query people had was along the lines of: I’ve written something, how do I get it in front of an agent? Buy the Writers’ & Artists’ Yearbook, which is published every year and lists all the agents in the UK, along with contact details and how they wish you to approach them i.e. whether they want a covering letter and synopsis, or the first three chapters. This book is invaluable. The link above takes you to Amazon, but I’ve also seen it in bookshops in Dubai. Do your research. Use the Writers’ & Artists’ Yearbook to target an agent who’s interested in the type of manuscript you’ve written: don’t send poetry to an agent looking for crime. Use social media. Get onto Twitter and search the hashtag #askagent; follow agents, and get a feel for the market. When you submit, point out in your covering letter why you think you’re a good fit with that particular agent, and include any info or experience that makes you sound like an author they’d want to take on. Enter competitions. Obviously, I’m biased because that was my route in, but aside from offering you a foot in the door of the publishing world and getting your name noticed, who doesn’t want to be able to be able call themselves a prize-winning author? There are plenty of competitions for unpublished authors; some of the bigger ones even offer the winner a publishing contract. Visit literature festivals: many now offer ‘quick pitch’ sessions with top agents, giving you a chance to get your work in front of an agent. Even if they don’t like your work, the feedback they can give in just five minutes could be priceless. The Emirates Airline Festival of Literature in Dubai offers these sessions with Luigi Bonomi this coming March. Check it out here. Sign up for writing courses and masterclasses: there’s no harm in polishing your technique while you’re waiting for your publishing deal. If you have the time and inclination, you can do excellent online novel-writing courses at the Faber Academy and at Curtis Brown Creative. I’m teaching my own masterclass at the Emirates Airline Festival of Literature this year, too. Good luck! Error: Error validating access token: Session has expired on Monday, 01-Apr-19 02:15:52 PDT. The current time is Sunday, 21-Apr-19 20:49:57 PDT.